Mike Vick Police Report QB Allegedly Threatens Ex-Business Partner ... Vick Calls B.S. 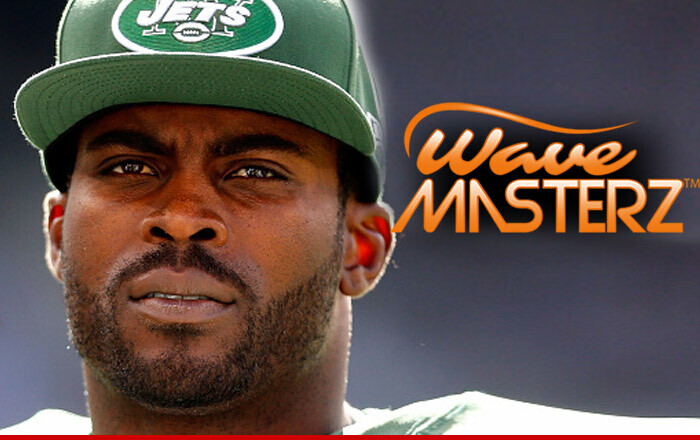 Mike Vick Police Report -- QB Allegedly Threatens Ex-Business Partner ... Vick Calls B.S. Mike Vick's ex-business partner claims he's been on the receiving end of some nasty threats from the QB ever since their hairbrush company hit the skids .. and now he's filed a police report against the NFL star. Though Vick's reps say the whole thing is a bunch of crap. The man behind the allegations is Tony "Bachelor" Fortune -- who teamed up with Vick to launch WaveMasterz brushes back in 2014. In fact, Vick came on "TMZ Hollywood Sports" and was pumped about the product. The company was KILLIN' IT back in December ... but Fortune says there was a major rift in their relationship ... and the two have been at war for months. Now, we've learned Fortune filed a report with the East Rutherford Police Department ... claiming Vick threatened him back in December and January. Cops tell TMZ Sports ... they're aware of the allegations ... but at this point, they're not considering charges against Vick. We spoke with Fortune who tells us he's hell-bent on pushing forward with his case against Vick -- calling him an "evil man" who has "no place in society." A rep for Vick says the allegations are "absolutely false" ... adding," If there was any validity to his claims about Mike regarding their business association, he would have filed a civil suit. But since his claims are false, he's doing everything he can to smear Mike's name, including filing a police report and contacting TMZ."